Here's another pin-up drawing of Leonardo I drew back in 1987. 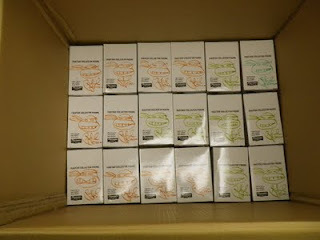 A couple of days ago I found myself in my office at Mirage, with about half an hour before a conference call, and decided to sign the rest of one carton of Fugitoid collector figures. Actually, I don't sign the figures -- just the boxes. Dan Berger usually asks me to do this a few at a time, as we get orders, so I thought it might be good to get ahead of the curve a little bit. 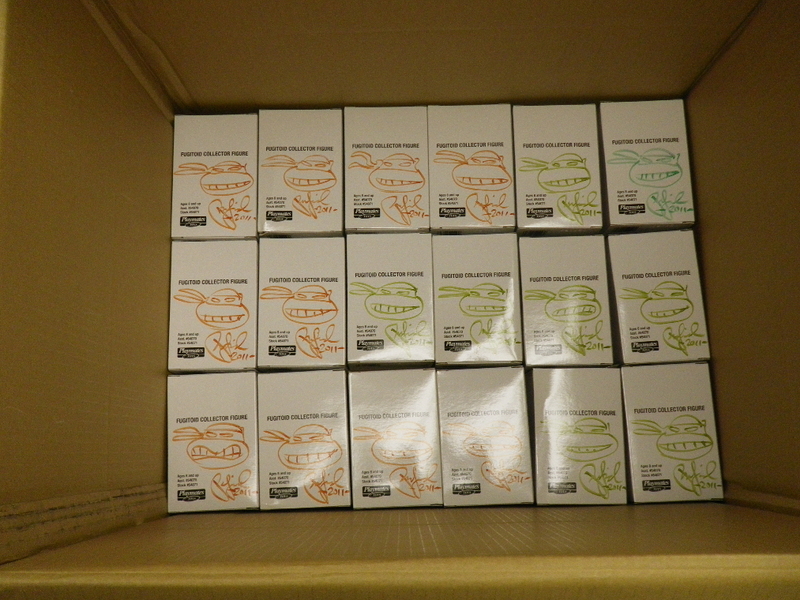 When I sign the boxes, I do a quick little Turtle head sketch on each one, and as I put them back into the carton after signing them all, I thought it looked kind of cute -- all those little white boxes with little Turtle heads on them. I am pretty sure that this is the fifth "Ask PL" thing I've done -- if I am counting correctly, the fourth one was back on October 20, 2009. That seems like almost a lifetime ago. Okay, maybe not a lifetime -- that could be just a smidgin of an exaggeration -- but it does seem like a very long time ago for me. I can't really answer any questions about what is to come for the Turtles via their new owners -- I only know what everybody else knows from reading the press releases and such that have appeared online. Actually, I may very well know LESS than everyone else, because I haven't been following all of the new developments very closely. And to (possibly) forestall any questions about TMNT Volume 4 -- sorry, I don't know when (or if) I will get back to it, though I hope to bring it to a conclusion at some point in the future, either as comics or simply as written plots. I do want to thank the various fans who have expressed their fondness for Volume 4 and their hopes to see it finished in some way. It is genuinely satisfying to know that there are some of you who appreciated what I -- assisted by the great talents of Jim Lawson and Eric Talbot on the artwork (and Michael Dooney on the painted covers) -- was trying to do with that series. So, given that I am really doing nothing new with Turtles at this point, I am uncertain what kinds of questions you might want to ask. I guess there are still those twenty-five years of TMNT history that I was part of -- that would seem to be fair game. 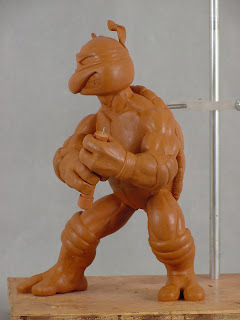 Or maybe there are non-TMNT (but comics-related) questions you might want to ask -- for example, the one or two people who liked my short-lived "Stupid Heroes" series may have some kind of query. This is sort of a curious piece. 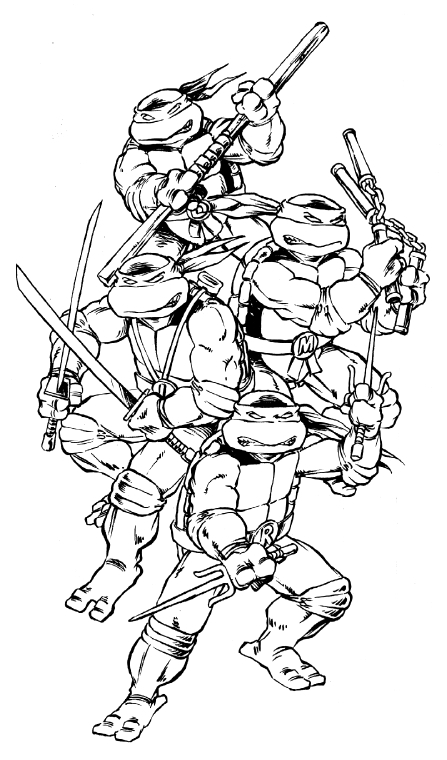 It is not dated, but from the way the Turtles are drawn and the style of my inking on it, I would say it is from the late 1980's or early 1990's. 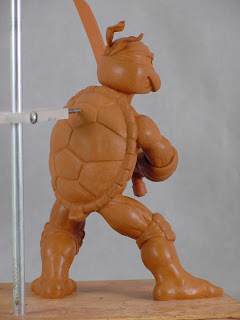 The Turtles have the blank white eye slits we gave them in the black and white MIrage comics… but they also have the initialed belt buckles from the first animated TMNT TV show. And Leonardo has the scabbard and scabbard strap setup from that same show. I don't think I have posted this image before, but if I have, please excuse my faulty memory. These figures have been resting on a bookshelf in our hallway for the last four or five years. They were given to me by one of the Playmates guys -- I am embarrassed to say I don't remember which one. 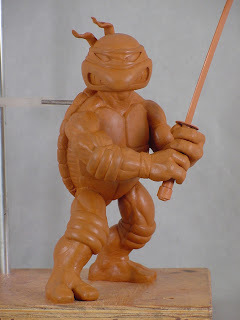 I think it was when a couple of our usual Playmates contacts came out to Massachusetts for a creative head-banging session in the early days of the TMNT toy line based on the 4Kids 2K3 TV series. 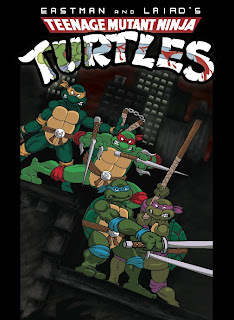 San Diego, CA (April 1, 2011) – More than 25 years after its first comic book, the Teenage Mutant Ninja Turtles return to their roots with IDW Publishing. 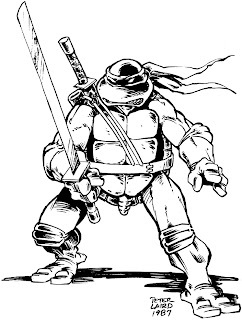 Today at WonderCon in San Francisco, IDW and Nickelodeon announced a long-term agreement to offer an all-new installment of the original Teenage Mutant Ninja Turtles comics and graphic novels. Starting this summer, IDW’s comic series will bring the “Heroes in a Half Shell” back into action. IDW’s new comics are part of a larger initiative to bring Turtles to a new generation of fans, starting with these new storylines from the original series. Additionally, in fourth quarter 2012, Nickelodeon will premiere a new CG-animated version of the wildly popular Teenage Mutant Ninja Turtles franchise. Created in 1984 by Mirage Studios founders Kevin Eastman and Peter Laird, the Teenage Mutant Ninja Turtles quickly went from an independently published, black and white comic to one of the most popular brands in the world. IDW’s Teenage Mutant Ninja Turtles will kick off with an ongoing series this summer, featuring new and exciting storylines that also maintain the “turtle power” core beloved by millions of fans. 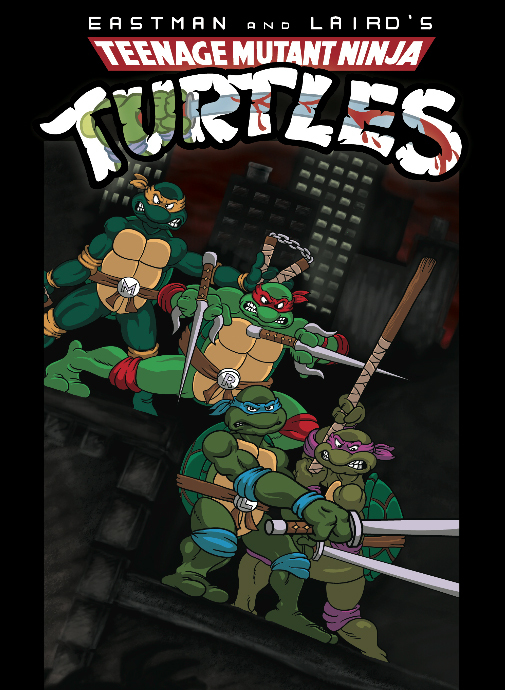 In addition to the all-new series, TMNT fans will also be treated to newly remastered collections of classic Turtles comics, beginning with the original 1980s series that started this worldwide phenomenon. 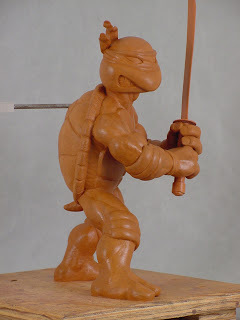 The return of Leonardo, Michelangelo, Donatello and Raphael and the rest of the TMNT world begins this summer. In IDW’s all-new, original series, readers will follow their favorite characters on exciting adventures that explore new depths of the TMNT universe. Visit IDWPublishing.com to learn more about the company and its top-selling books." "Created in 1984 by Mirage Studios founders Kevin Eastman and Peter Laird, the Teenage Mutant Ninja Turtles quickly went from an independently published, black and white comic to one of the most popular brands in the world." TMNT #1 remade... by fans! "We collectively remade the very first issue of the comics, all in our own style. 1 page per person, though some had 2 or 3. We wanted to do this not only as a fun collaborative project but also to show our appreciation to you & Kevin for the vast TMNT media & love we've received from you both over the years." I checked it out, and it is quite nifty. The art ranges from very clever and polished to pretty crude, but there is, overall, a nice balance. 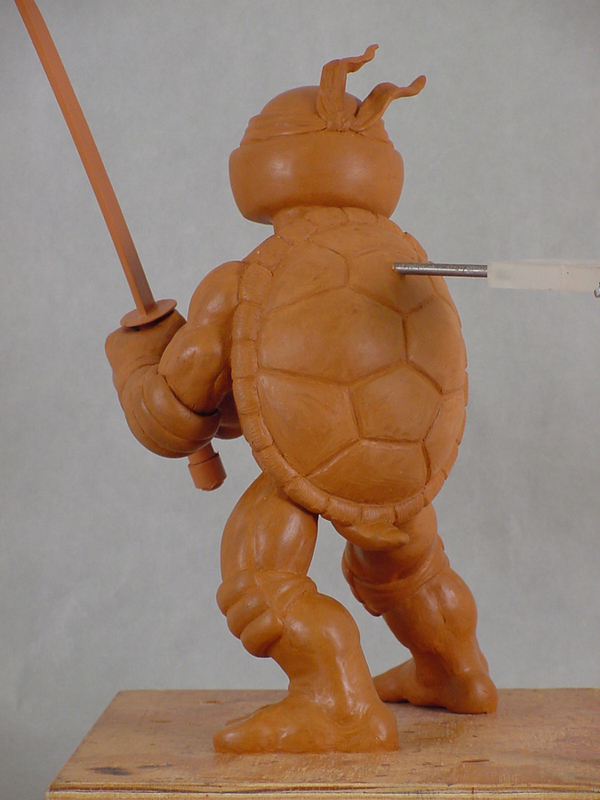 Some of the more over-the-top changes (like the Shredder's eyeball popping out of his head when Donatello hits him with his bo staff) I could have done without, but for the most part it is a faithful recreation of that first issue of TMNT. I was kind of hoping that it would be a very different take on what we did in that first issue -- not so much in the story, the dialogue and such, but the layouts and the drawings. 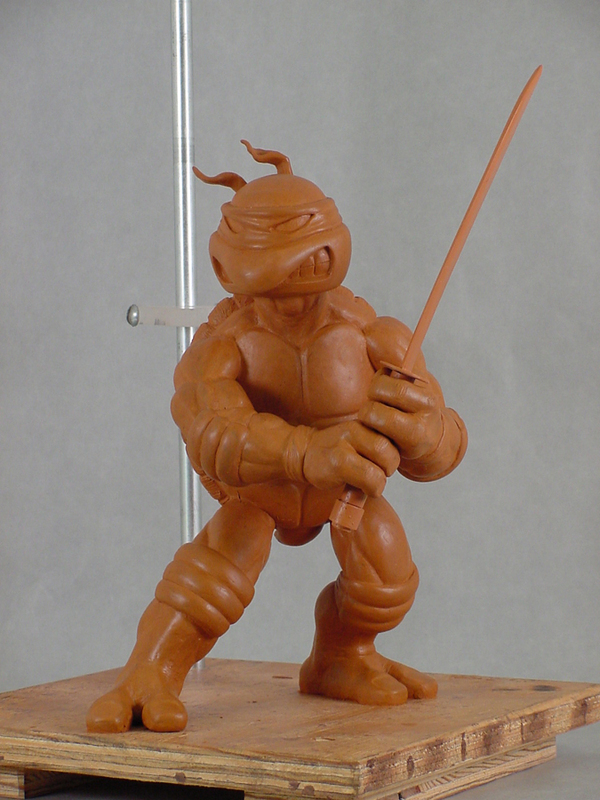 In fact, back in 2008 and 2009, when we were working on stuff for the 25th anniversary of TMNT, one of the ideas I brought up several times was essentially this -- but the plan would be to get some established comics artists to each take a page form that origin story and render it in their particular fashion. That project never came together, for a variety of reasons, so it is cool to see it emerge in this fan-created way. But it is pretty much a shot-for-shot remake of the original. There is nothing wrong with that per se -- I was just hoping for a more divergent approach.